Hybrid bio-inspired robotics tries not only to mimic living organisms in nature, but also to improve them to make them adaptable to multiple terrains and environments, while mechanically modular and efficient . 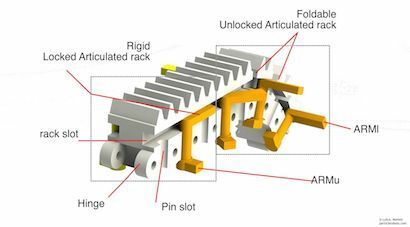 The development of hybrid robots requires new designs of mechanical elements that take advantages of 3D printer technologies combining soft and rigid materials in the same part for multifunctional purposes . 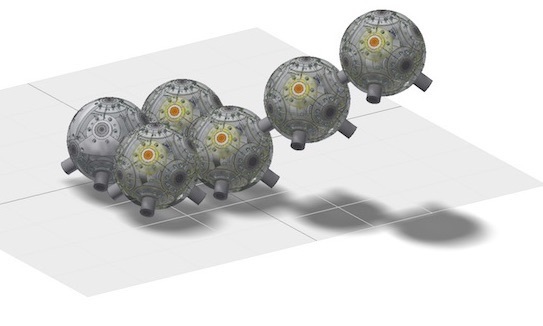 Bio-inspired spherical mobile robots have been embedding mechatronic modifications to make them more adaptive to different terrains and environments, they can swim , dive from integrated thrusters ; move in snow from their rugged outer shell ; and even walk from using its shell as legs ; but never embedding an active exoskeleton. 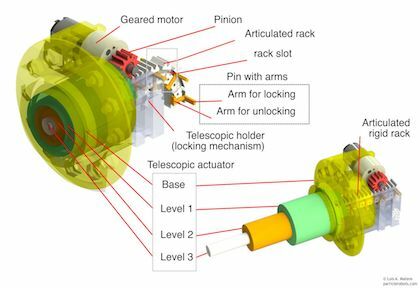 The main reason is the challenging mechatronic system to be fitted inside the constrained space of the robot's exoskeleton, which integrates a sealed spherical mobile robot as an inner shell together with a sensorized and actuated outer shell, plus managing their complex interactions . PARTICLE ROBOTS. 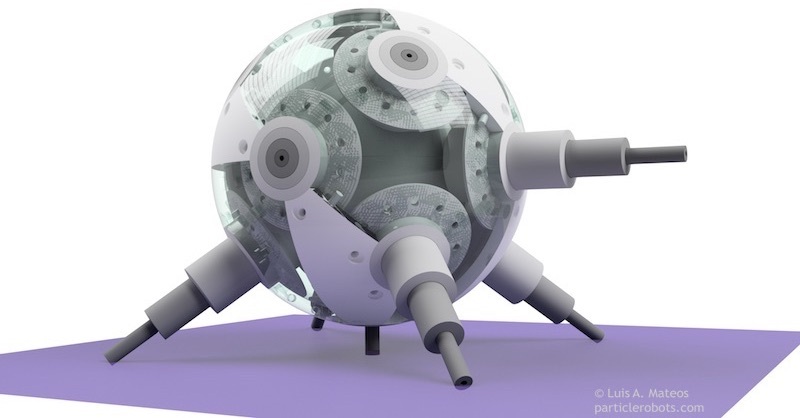 The particle robots were inspired by an interesting rather boring animal, the biological Echinoid (sea urchin) and by spherical mobile robots. The sea urchin consists of a round shaped body with long spines that come off it. The spines are used for multiple purposes, such as protection and to move about in the water. On the other hand, spherical mobile robots embed a special morphology with multiple advantages such as protection from their outer shell and smooth motion with good power efficiency . 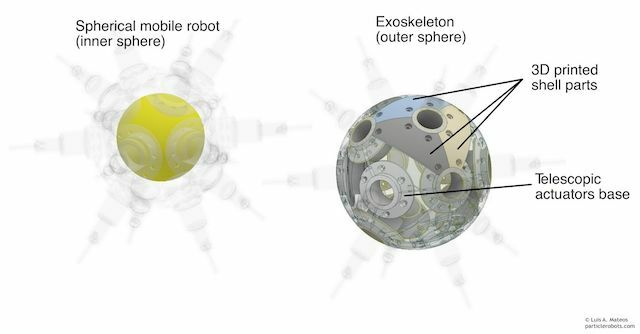 This research explores the possibility to integrate in a common shell, a spherical mobile robot and an actuated exoskeleton in order to improve the robot's dynamics, locomotion methods and adaptability to different terrains. 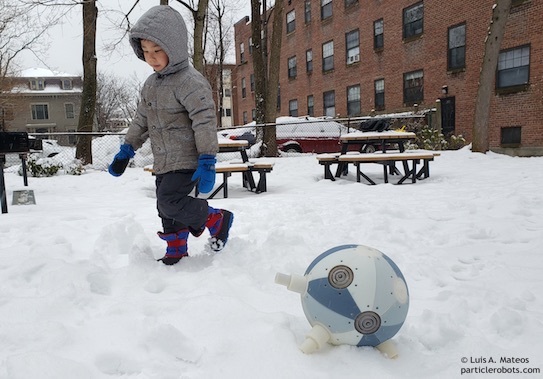 Whether, based on the spherical mobile robots, soft robotics and highly compressible linear actuators state-of-the-art, it is possible to create a new specie of robot with novel locomotion methods, able to reconfigure itself to swim, move on snow or sand, pass over obstacles and even jump by contracting or extending its spines. Unlike previous works, to emphasize the uniqueness of the presented robotic setup, a renewed articulated rack and pinion gearbox enables the exoskeleton’s actuation system to fit in a constrained space in between the exoskeleton sphere and the inner mobile spherical robot, while having a good extension ratio, speed and force. If compared to latest developments on linear actuators . Robot’s spheres. The inner shell consists of a sealed spherical robot, which is an independent entity and is not connected directly to the exoskeleton. Since, all the power and communication are wirelessly managed between both. The particle's robot inner shell integrates a direct-driving method with two independent rubber-rimmed wheels inside the shell with a top slip bearing so the wheels are in firm contact with the inner shell. 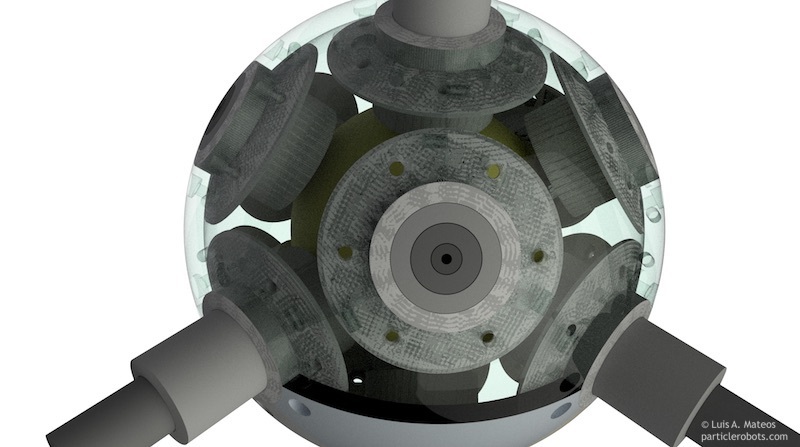 The outer shell covers the sealed inner shell (spherical robot), holds fourteen telescopic actuators (spines) and protects its sensors and actuators. It consists of 24 printed parts that forms a sphere. The material used for printing the outer shell is a mix of soft and rigid 3D printer material in order to withstand hits. Telescopic actuators with articulated rack and pinion gearbox. Linear actuators generally offer low speed and small ratio between the total length when fully extended to the length when compressed. The reason is that in its body rest a rigid piston without the capability to be folded or bended. The challenge is to fold the rigid element to fit it inside the limited space in between the particle robot's outer and inner shells. So, when the robot compresses all its linear actuators, the robot can move as a spherical mobile robot. While, when extending them, the articulations are converted into rigid links mimicking a rigid piston able to lift the robot. Locomotion methods. The configuration of the particle robots enables them to have multiple locomotion modes, such as roll, walk, jump, swim and move over obstacles. 1) The robot can roll when the spines are hidden and the inner spherical mobile robot is activated. Also, roll is achieved by extending/contracting its spines in a controlled pattern. Or a combination of extending the spines to start the momentum together with the spherical mobile robot. 2) Walk is possible by moving the spines in controlled pattern, since the robot can stand on a flat surface with three, four or five legs. 3) The robot is able jump if it is initially rolling and in coordination of the rolling moment a spine is extendend. 4) The robot can swim using the rolling modes. CONCLUSIONS. 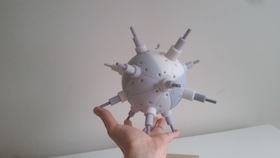 This research shows that a mobile spherical robot can integrate an active exoskeleton and can achieve locomotion as a spherical mobile robot and as a bionic sea urchin by leveraging existing developments in mechatronics and soft robotics. 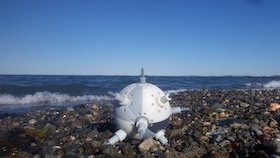 This capability could unleash the full potential of a new generation of autonomous-dexterous spherical mobile robots to address the needs in rescue robotics, in-pipe robotics, surveillance and entertainment. There are still important limitations: Although the active exoskeleton and spherical robot were controlled and their sequence was hard-code through a considerable engineering effort. One can envision autonomous particle robots to be miniaturized, moving inside the human body as spheres with their spines hidden inside healthy veins. While, inside cluttered veins they can rotate with their spines extended cleaning the veins. NEXT STEPS. One of the next steps is to integrate lighter and stronger mechanical elements in the paritcle robots, such as carbon fiber and titanium. In order to miniaturize the particles for 3D swarm robotic formation.